Police investigate suspicious package on E. Third St.
DAYTON, Ohio (WDTN) - Police are investigating after a suspicious package was reported in Dayton Wednesday. 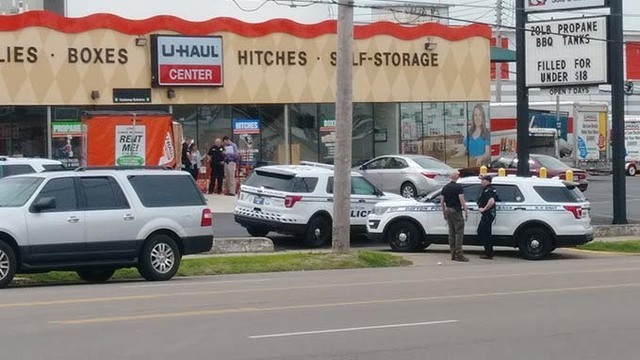 Police responded to the U-Haul Moving and Storage of Dayton store in the 1300 block of E. Third Street. The scene was cleared just after noon and police tell 2 NEWS the area is deemed safe. They did not provide further details about the alleged 'suspicious' package. Montgomery County Regional Dispatch told 2 NEWS someone reported the package around 10:50 am Wednesday. 2 NEWS is working to learn more about this incident and will keep you updated when more information is available.